Welcome to another installment of our troubleshooting series where we help our readers who own the #Samsung #Galaxy #Note5 fix the problems that they are experiencing with their phone. 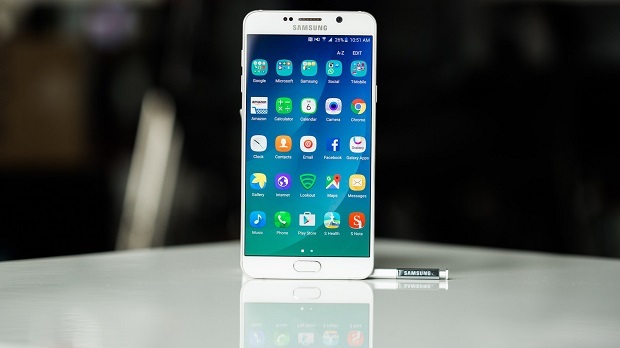 Today we will tackle the Galaxy Note 5 not charging after software update issue & other related problems. Ideally the phone charging should not be affected by a software update but in this case it looks like it did. Aside from this issue we will also address some of the power related problems that have been sent our way. Problem: my note 5 is not charging after an automatic update a few weeks ago, it responds to the wireless charger most times. I tell myself that this update was just a way to get me to now buy a wireless charger. And the battery is now draining sooooo fast ugh!! Solution: Before we blame the update for causing this problem let’s try to check the other factors that can lead to this issue first by following the troubleshooting steps listed below. Check if the issue occurs after performing a step then move to the next one if it does. Try cleaning the charging port of your phone first using a can of compressed air. Make sure that any dirt or debris stuck in this port is removed as this can cause charging problems. Charge your phone using a different charging cord that’s known to work. Try using a different wall charger. Check if your phone can charge from a computer USB port. If it charges this way then one of the pins of the charging port might have a problem. You should then have this checked at a service center. Once you have performed the steps listed above and the issue remains then it’s time to check if the update is causing this problem. For this you will have to do a factory reset. Make sure to backup your phone data before doing the reset. If the reset fails to fix the problem then you should bring your phone to a service center and have it checked. Problem: My Galaxy Note 5 will not power on. The screen is black and unresponsive. None of the LED notifications even light up. I even tried your troubleshoot method and still nothing happened. I bought the phone new from Verizon 14 months ago. Solution: If your phone does not power on then the first thing you should do is to make sure that its battery has sufficient charge. Try charging your phone for at least 20 minutes then check if it is able to turn on. When charging your phone make sure to clean the charging port first using a can of compressed air. Your aim is to remove any dirt or debris that could be stuck in the port. You should also try charging your phone from your computer USB port. If you are still not getting any response at all from your phone then try simulating a battery pull. This is done by simultaneously pressing and holding both power and volume down buttons for at least 10 seconds. The phone should reboot after this. If the above steps fail to fix the problem then this could already be caused by an internal component that is failing to work which could be the battery, power IC, or other component. I recommend bringing your phone to a service center and having it checked if this is the case. Problem: Hi, I just recently had the “blue light of death” issue with my Galaxy Note5. I did a factory reset and all is well. But once it reboots on its own. it’s stuck on the green android black screen in “Erasing”. It won’t restart or finish the factory reset. Do you know a fix for this? I never had this issue before? Solution: For this particular problem you have to do a simulated battery pull first. Simultaneously press and hold the power and volume down button for at least 10 seconds. Check if your phone will restart. If it doesn’t then attempt to do a factory reset from the recovery mode. Take note that this procedure will erase your phone data. If the above steps fails to fix the problem then you should consider manually flashing your phone with its updated firmware file. Download the correct firmware file of your phone from the Sammobile website. You will also get instructions on how to flash your device from this website. Problem: My phone goes off specifically during voice calls, and only when NOT on loudspeaker mode. I’m confused. I don’t know what to do. It only goes off during calls not done on loudspeaker. Solution: You will need to check if some software glitch is causing this problem by performing the troubleshooting steps listed below. Check if the issue still occurs after performing a step then move to the next one if it does. Start your phone in Safe Mode. Does the problem still occur in this mode? If it doesn’t then it could be caused by an app you downloaded. Find out what app this is and uninstall it. Try wiping the cache partition of your phone from the recovery mode. If the issue still occurs even after performing the steps listed above then you should bring your phone to a service center and have it checked. Problem: my note 5 asked for an update. came back to the phone and its flashing screens saying update failed. the device wont come on, just keeps flashing!! Solution: Try simulating a battery pull by simultaneously pressing and holding the power and volume down button for at least 10 seconds. If your phone does not restart then you should try starting it in recovery mode. From here I recommend doing a factory reset. Take note that the reset will erase your phone data. One last troubleshooting step that you should consider if the issue persists is to flash your phone with it updated firmware file. You can download the specific firmware file of your phone from the Sammobile website. Flashing instructions are also provided in that website. Problem: Samsung Galaxy Note 5 cannot charge when on but can charge when power off. Solution: Try checking if the charger is causing this problem by using a different charting cord and wall charger. You should also check if the problem is somehow caused by a software glitch by doing a factory reset. Make sure to backup your phone data before doing the reset. My phone will charge slowly only when It is powered off. And won’t charge at all while its powered on. Please help. Hello! After the nougat update…my phone will only charge when its completely powered off. I charge it using the original rapid charger and it takes HOURS just to charge to 50%. I have tried using other cords and have tried plugging it into my computer to charge….but no charge lightning bolt shows up…it does NOT show its charging. I have tried charging in safe mode, I have done the battery reset with the power key and volume down key. Nothing has worked. I am unsure if this is a charger problem, and battery problem, or software/firmware problem. My phone charged perfectly fine last night earlier in the evening. My phone was not exposed to any moisture or hard trauma. When I went to charge my phone late evening last night….this is when I noticed the problems. Im not sure what my next step is?? So I’m having a similar problem with my Note 5. Almost 2 months ago I plugged my phone in before i fell asleep and when I woke up it was dead. After cleaning the port out with a soft brush and trying every combination of cable and charger, including the original that came with my phone, it still wouldn’t charge. Not only did I try almost every outlet available to me I also tried multiple USB ports on different computers. Nothing would charge it. After a trying all of this I remember that I bought a wireless fast charger when I bought my phone so I went ahead and slapped it on there. To my surprise it actually worked! So when my phone charged up I turned it on and realized that it updated to Nougat. The phone wasn’t even on for 5 minutes when it started to bug out. It was thinking that it was charging! At random times the phone screen would light up and the charging animation was shown at the bottom of the phone. Even the LED light would flash red showing that it was charging. This was all happening when nothing was plugged into the phone at all, it does it even when it’s not on the wireless charger. After reading everything I could on this forum I completed all of the the troubleshooting steps up to a hard reset. This includes clearing the cache partition, booting in safe mode and even cleaning the charge port again. None of these things worked. Even when I pluged into a computer the phone wouldn’t charge and the computer itself couldn’t recognize the device. Finally I gave in and did a factory reset on the phone and to my surprise it still wouldn’t charge and it’s still having the random fits of thinking it’s charging with nothing plugged into it. But now after the reset I can’t even boot into safe mode. I’ve been getting by by using my wireless fast charge pad but I’m still doing everything I can to try and fix it. If you guys could suggest any other tips or tricks that might work I would really appreciate it. I really do love this phone and would like it to last until the Note 8 comes out. My Samsung galaxy 5 is stuck on the Welcome window asking for me, I hit next to see what was up and all is wacky now. It recycles back to the Welcome Screen. Someone said Google can freeze it for 72 hours. It has been 96 plus. Help please. Galaxy Note 5 issue–my fingerprint scanner never works now. And I am constantly getting the “wait 29 seconds” message and now I’m getting “wait 5 minutes”. That is terrible. Is there a fix to this?